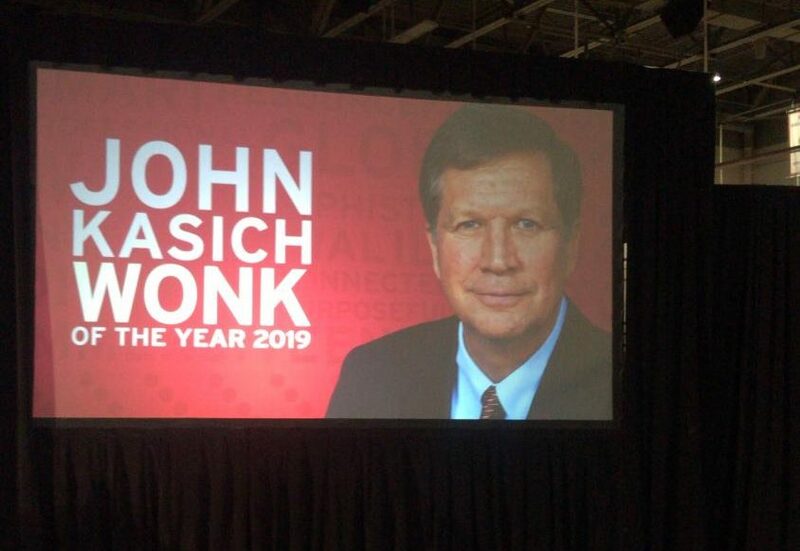 The student-run Kennedy Political Union (KPU) and AU College Republicans cosponsored The Wonk of the Year event on March 21, awarded to John Kasich. However, this sentiment did not cause Kasich to shy away from speaking openly about politics, so AWOL asked Kasich whether or not he was running again in 2020. “I tell people, my options are on the table but you know, I wouldn’t run if I didn’t think I could win,” Kasich told student media in an interview before the event. When asked whether he was worried about a Democrat winning the 2020 Presidential election, Kasich said it would be unfair to assume a Republican would be worried about a Democrat winning. “I’m an American before anything else,” he said. Kasich went on to say that the “good things of capitalism” have seldom been discussed. Meanwhile, the weaknesses of the system include people being left behind, particularly due to layoffs in areas where one industry, or even one factory, employs the majority of the town. Taking the example of the General Motors plant being shut down in Lordstown, Ohio, Kasich talked about the 1,435 hourly workers who were impacted by the changing economy. 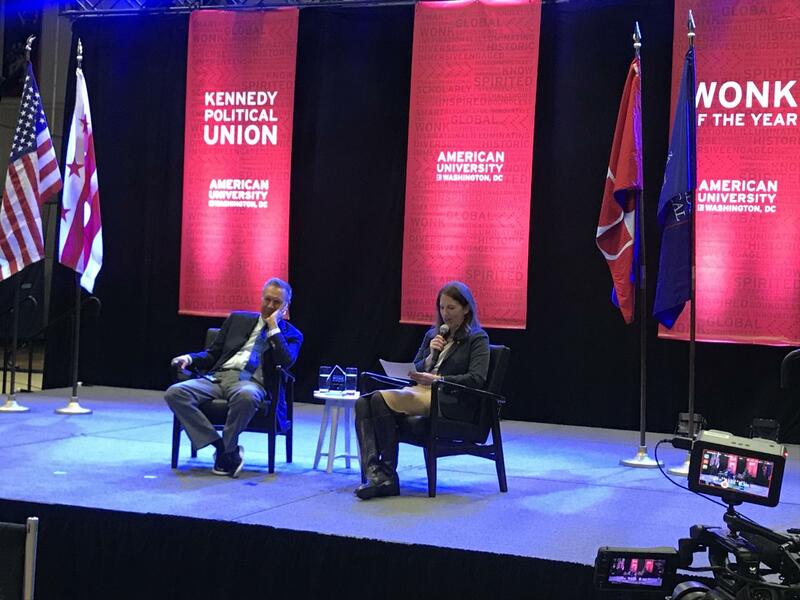 While Kasich emphasized bipartisanship, the event had some students objecting to KPU’s decision to pick Kasich due to his conservative background. He joked about not getting these types of answers out of most people, saying “you aren’t going to hear this from anyone else.” He added that what he is most interested in are people with different opinions and values from him, but can still articulate and discuss and civilly debate. 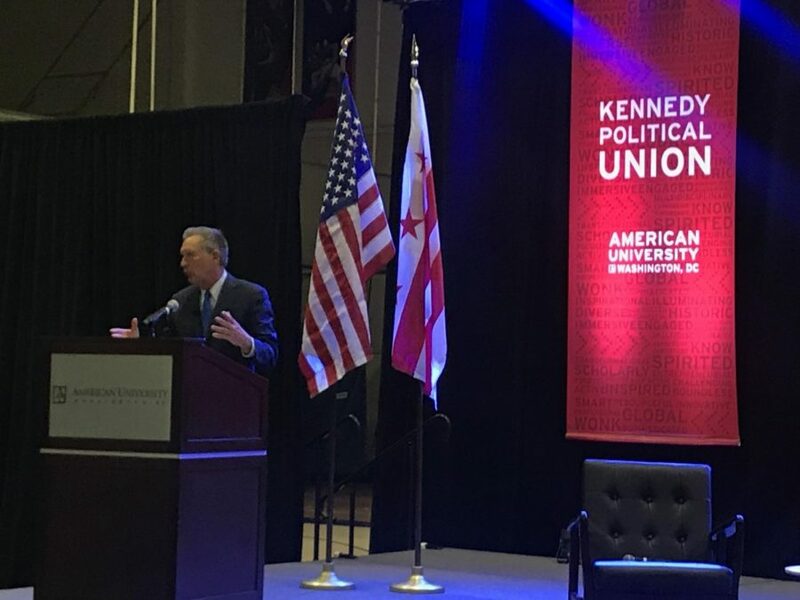 Kasich continued to speak on party divides that occur under presidential administrations, stating that “presidents don’t matter that much” in terms of legislation or people’s daily lives. Referencing the popular phrase “young people are the future,” Kasich emphasized that millennials are engaged, well-informed and passionate about a variety of issues from civil rights to mental health to climate change. When asked what are some of the biggest lessons he learned from his presidential campaign, Kasich added, is that politics is not really about the issues.